As far as television programmes go, there are none that are more universally popular than the soap opera. Love them or hate them, nothing can detract from the pleasure they bring to millions of people who wait with eager anticipation for each and every episode. Acquiring the name ‘soap operas’ in 1931, it happened when the first daytime drama series on the radio, ‘Clara, Lu and Em’, came to the attention of Colgate Palmolive, who quickly spotted an advertising chance. A dominant force in the detergent manufacturing industry, the company became the show’s main sponsor, instantly reaching its target audience – the housewife – and through this affiliation, the soap opera moniker was born. Over the years there have been an inordinate amount of these shows right around the world. Some good, some bad and some that, if the truth be told, shouldn’t have been commissioned in the first place. Most people will (possibly at a push) admit to either listening to or casting an eye over one of them through the years – there has simply been that many that it would be difficult not to. Of the more successful soap operas, many not only took off in their native countries, but expanded to be shown all over the world and the love for soap operas now means that whether you’re in Australia or India, the Philippines or Germany, you’ll be able to switch on the TV and see both a homegrown soap or one of the many exported from another country easily. It seems hard to imagine that something that began so long ago could still be around ten years later, never mind 60 or 70 years on. Oddly enough, as others have fallen by the wayside – and there have been some serious casualties over the years – there are some that have more than stood the test of time. These giants of the box have proved beyond a shadow of a doubt that if you have something the average person can associate with, you are on to a winner. Many have tried to emulate this feat, but ultimately found themselves coming up short in the longevity stakes, which makes the enormous lifespan of these three incredible soap operas all the more impressive. 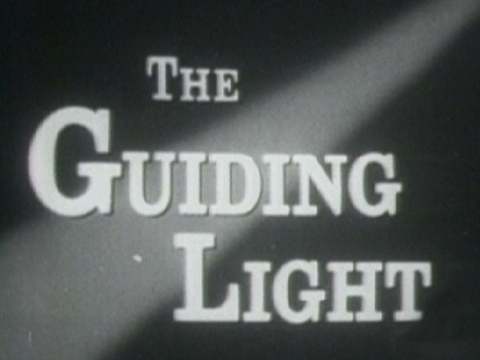 Originally called ‘The Guiding Light’, it was first broadcast on NBC radio on January 25th 1937 and little over a decade later moved to CBS radio. This move was followed five years later with its natural progression to CBS television, a move from which it never looked back. The guiding light in question referred to a lamp in the study of Reverend Dr John Ruthledge who, when the show began, was a major character. It was a sign to show that residents and parishioners of the fictional church in Illinois (then Selby Flats and later the Midwest town of Springfield), where the series was set, could find help should they so need it. Starting as a 15 minute slot, this was was increased to 30 minutes in 1968 and then to a full hour on 7th November 1977, such was its popularity. By the time September 2006 arrived, the show was ready to air its 15,000th televised episode. From its inception and debut on radio in 1937 and its move to television, Guiding Light ran continuously up until September 18th 2009, when the lamp finally went out and the series was over. In excess of 18,000 episodes of GL – as it came to be known – were produced during its staggering 72 year run, giving an immeasurable amount of pleasure to entire generations. 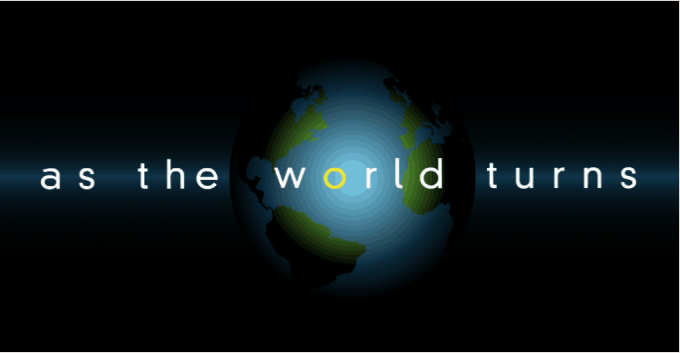 Affectionately known by some of its myriad of fans as ‘ATWT’, As The World Turns is another big hitter when it comes to the longevity game. First airing on 2nd April 1956 on CBS, like its sister show Guiding Light (they were both created by Irna Phillips), it would go on, albeit after a not too successful first year, to have a long and very popular lifespan. Set in the fictional town of Oakdale, Illinois, but produced in New York City (initially in Manhattan and later in Brooklyn) for its entire run, 12th May 1995 saw the show reach the incredible 10,000 episode mark and on 2nd April 2006, it celebrated its 50th anniversary. Interrupted 10 minutes in on November 22nd 1963 by a CBS News bulletin slide, as Walter Cronkite reported the shooting of President Kennedy in downtown Dallas, as a live soap opera, the cast carried on with the show, totally unaware of what had gone on. 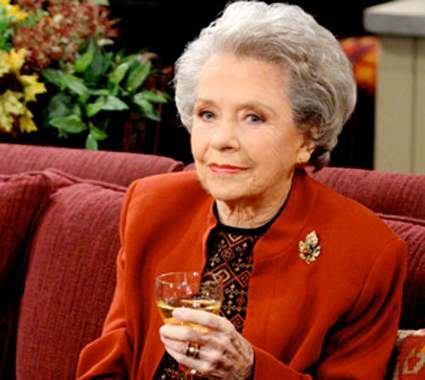 Home to some of America’s longest standing soap actors and actresses, including the late Helen Wagner, who played Nancy Hughes McClosky for over 50 years, after a truly amazing 54 seasons and 13,858 episodes, the show came to an end on 17th September 2010. 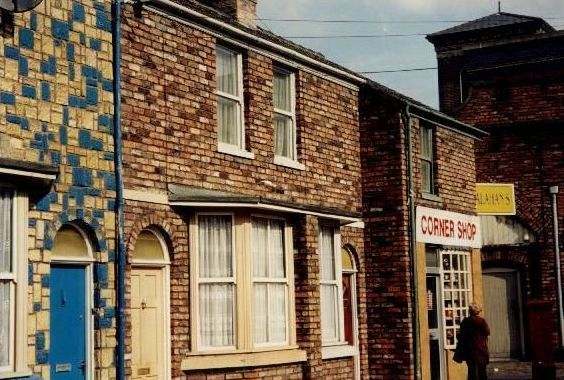 A behemoth of British television, Coronation Street (known to many of its loyal fans as simply ‘Corrie’) first hit the screens on 9th December 1960. Set in a fictional northern town called Weatherfield, like Guiding Light and As The World Turns, over the years, it has collected more than a healthy following. 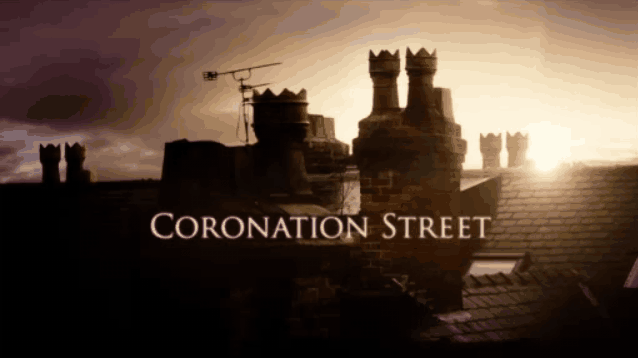 As with ATWT, Corrie had what was thought to be something of a shaky start, but the producers’ fears were allayed as the British public almost immediately took it to their hearts. They seemed to enjoy the ordinariness of the characters and generally the way the whole show worked, something that is still seen as it’s primary draw to this day. The producers of the soap, like for the others mentioned here, seem to have followed one very important rule of thumb – if it’s not broken, don’t fix it. The success that these shows have enjoyed has been because they have given the people who count – the audience – exactly what they wanted, when they wanted it. 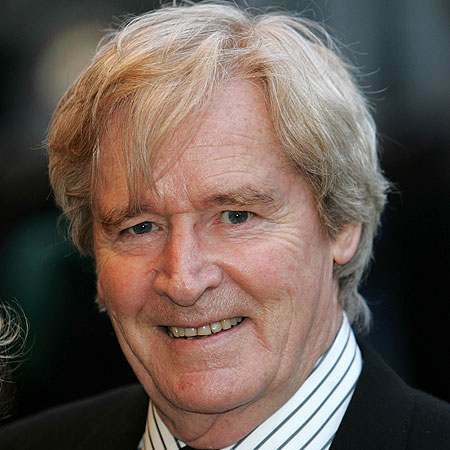 With the demise of both of the previous programmes, Coronation Street is still going strong and with over 7,900 episodes, it is now well and truly ensconced as the world’s longest running soap opera – and it still has one original cast member, William Roache, acting in it regularly, over 50 years after the first episode was shown.